Not everybody is talking about the iPhone. Nokia's profits for the last three months have been better than expected, driven skywards by cheaper handsets. Nokia sold 112 million phones, the equivalent of 14 every second between July and September. That's more than Sony Ericsson, Motorola and LG put together. Sales have been propelled by the chunky N95, which is available on multiple UK networks, often free with a monthly contract. While the N95 has been criticised for its poor battery life, this all-rounder phone has struck a chord with consumers in an iPhone-free euro market. Yes, the N95 isn't as comely as Apple's hyped-up smartphone. But the combination of a web browser, music player, Wi-Fi, a 5MP camera and built-in GPS mapping is proving to be a winner. The new 8GB version of the handset will only help matters. "The sub 30 euro segment grew very nicely," Chief Executive Olli-Pekka Kallasvuo told Reuters. "We are quite strong in that segment." 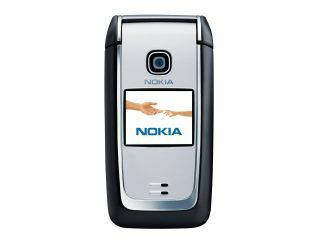 Nokia's 6300 and 6125 handsets have proved a popular budget deal. In a tough market, Nokia has bucked the trend and its shares have shot up by 70 per cent. Not only has this been a result of stronger than expected handset sales, but the failure of Motorola and Sony Ericsson to make a serious dent in Nokia's market share.